As a Boy Mom and an Engineer, I love when I come across ideas that combine my children's high energy levels and STEM. 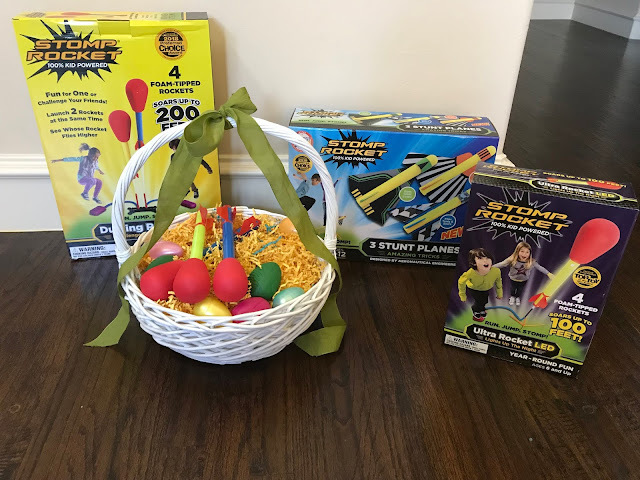 In today's post, I am excited to share a fun idea for Easter morning that will help to put your children's energy levels to good use while also encouraging a love for STEM --Stomp Rockets on Easter morning for you children! Stomp Rocket® Ultra LED – Light up the night with these bright LED-equipped rockets that can launch up to 150 feet in the air. $21.00. Our children had a blast with all of these Stomp Rockets! It was easy for me to quickly see why this is an award-winning brand. My children were entertained for hours on end while also exercising as they stomped and ran around picking up the rockets. We definitely recommend them for Easter!